Appointment Reminder takes the upmost respect when dealing with your clients protected heath information. The Health and Human Services (HHS) department has stated that appointment reminders are allowed under the HIPAA Privacy Rule (see here). 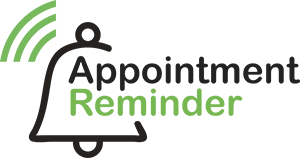 When sending appointment reminders such as SMS, Email or Voice Calls you should not include detailed information about the person receiving the reminder. This includes such things as diagnosis, treatment information or other personally identifiable information. Your reminder messagae should only include the most generic of information such as the date and time of the appointment and the name of the company. Appointment Reminder does the following to safe guard your information. - Encrypted data storage using industry standard AES-256 database encryption keys. - All user names and passwords stored in our database are encrypted. If you need any more information please contact us. What countries do we support?